(CN) – On the heels of the most devastating wildfire season in California history, a series of blazes in the northern part of the Golden State over the weekend marked an early start to the 2018 season. McClean said this as thousands of Northern California residents fled their homes after several wind-driven wildfires broke out in rural areas. 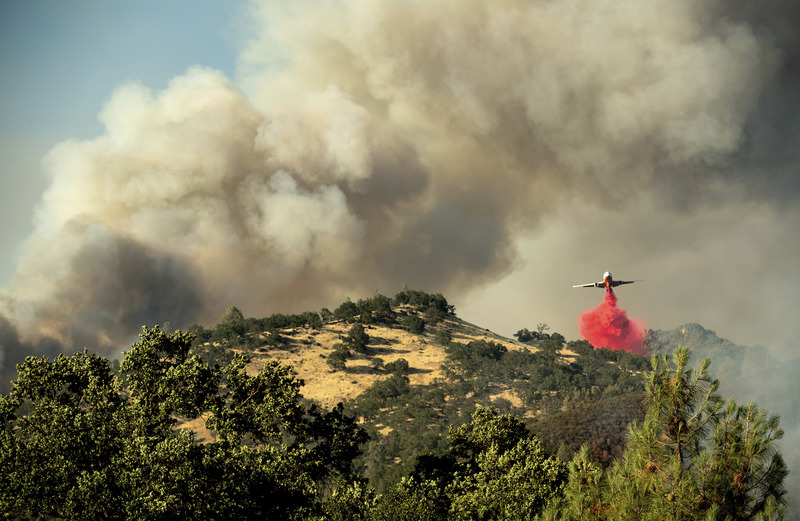 The Pawnee Fire in Lake County grew to 8,200 acres by Monday afternoon, with 22 structures destroyed and 600 more threatened northeast of Clear Lake, about 100 miles north of San Francisco. “The wind is pushing out embers from the main fire, creating new fires as it advances,” McClean said. No injuries have been reported, but more than 230 units fighting the fire in remote and rugged terrain. California Gov. Jerry Brown declared a state of emergency for Lake County, allowing more resources to be deployed to the area. A wildfire also broke out in Red Bluff, the seat of Tehama County, destroying several homes and businesses. McClean said about 90 new fires broke out over the weekend, and Cal Fire reported 256 fires had started just since the beginning of last week. “We have had 200 more fire starts than last year to date,” he said. The statistic is particularly alarming as 2017 represented the most devastating fire season ever for California. The Wine Country Fires this past October killed at least 44 people, destroyed $10 billion worth of private and commercial property and became the deadliest and costliest fire in state history. 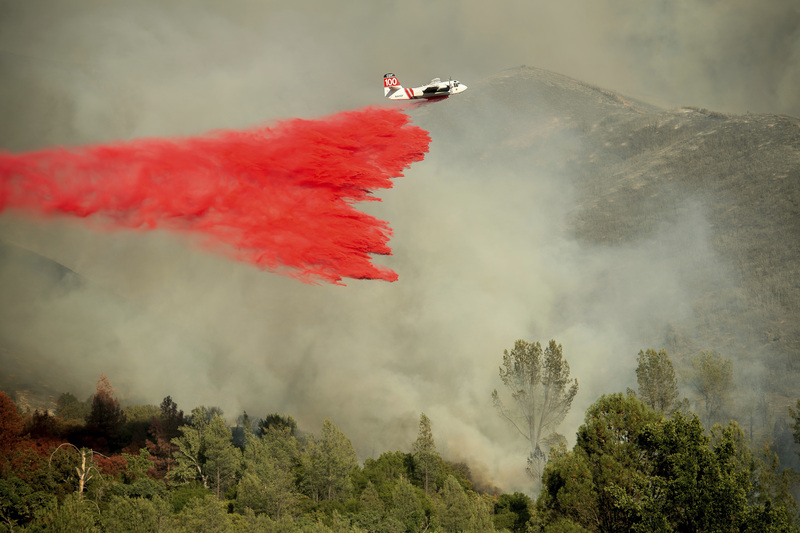 The Thomas Fire, which ravaged Santa Barbara and Ventura counties in Southern California this past December was the largest ever at 280,000 acres, or about 440 square miles. The recent spate of fires is not as large but have officials worried 2018 could be even worse, as conditions continue to facilitate the spread of fire. But McClean also cautioned the public against superimposing a trend on nature, which tends to work more haphazardly. Many of the recent fires are driven more by wind than drought, meaning they are subject to the whims of daily weather rather than the trends of regional climatic issues. “Mother Nature may surprise us yet this summer, bringing cooler weather, calmer winds,” McClean said. For firefighters on the Pawnee Fire, they are preparing for the wind direction to change with a low pressure system on the way. While that may increase humidity, the change in winds means firefighters will have to adjust containment plans accordingly.